Russian Helicopters is on track to delivery Egypt’s Ka-52 helicopters later this year, according to state holding company Rostec. 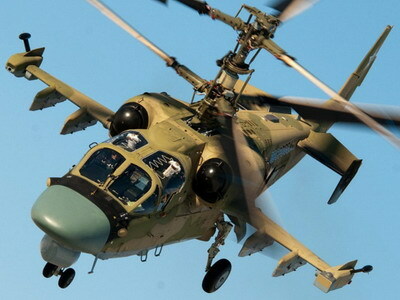 “Russian Helicopters, a leading global designer and manufacturer of helicopters, confirms that the first of an eventual 46 Alligators will be handed over to Cairo this year,” Rostec stated on 7 March. On 31 January Russian Helicopters said one of its subsidiaries – Progress Arsenyev Aviation Company - has produced this year’s first Ka-52 Alligator and this has completed ground and flight tests. Several more airframes were undergoing final assembly. Russia confirmed the sale of 46 Ka-52Ks to Egypt in December 2015. The Ka-52 Alligator is a development of the Ka-50 Black Shark, featuring two crew side-by-side in a new nose housing additional avionics. The Ka-52 is in service with the Russian Air Force, which has ordered 146 Ka-52s while Russian naval aviation will receive 32 navalised Ka-52Ks. Production began in 2008. The helicopter is fitted with four underwing hardpoints capable of carrying 80/120 mm air-to-surface rockets, 9A4172 Vikhr-M (AT-12) laser-guided air-to-surface missiles, Igla or R-73 (AA-11 'Archer') air-to-air missiles, Kh-25MP (AS-12 'Kegler') anti-radiation missiles and FAB-500 bombs. Fixed armament comprises a 30 mm 2A42 gun with up to 240 rounds of ammunition. Egypt will fly its Ka-52s off its Mistral class landing helicopter dock vessels – these were handed over to Egypt in June and September 2016. As they were originally destined for Russia, they were designed to accommodate the Ka-52K helicopter. Each vessel can operate 16 helicopters. The first batch of Alligators scheduled for delivery to Russia in 2017 was transferred to the Russian Ministry of Defense ahead of schedule in December last year. However, problems have been encountered with the Ka-52K after shipborne trials, Tass reported Russian Deputy Defense Minister Yuri Borisov as saying. He did not specify what problems they were but indicated they would be solved soon. It is not clear if these problems will also impact the Egyptian examples.